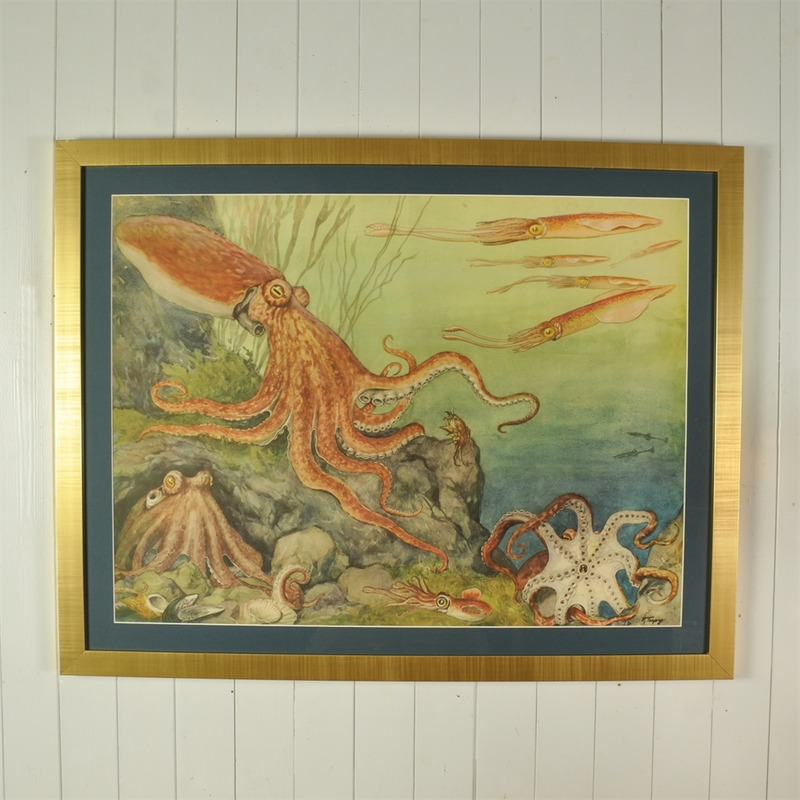 This wonderful vintage Chromo-Lithograph has been re-framed. We love the crab, looking very nervous about the octopus ! 80 cm h x 102 w.